Your Expense Type GLA Mappings are enabled in Expensify to use as categories on each expense when using both PSA and SRP. However, PSA will not import or export categories, SRP will. Projects, Assignments, or Projects and Assignments can be imported as tags with Milestones being optional. When selecting to import only projects, we will derive the account from the project. If an assignment is selected, we will derive both the account and project from the assignment. 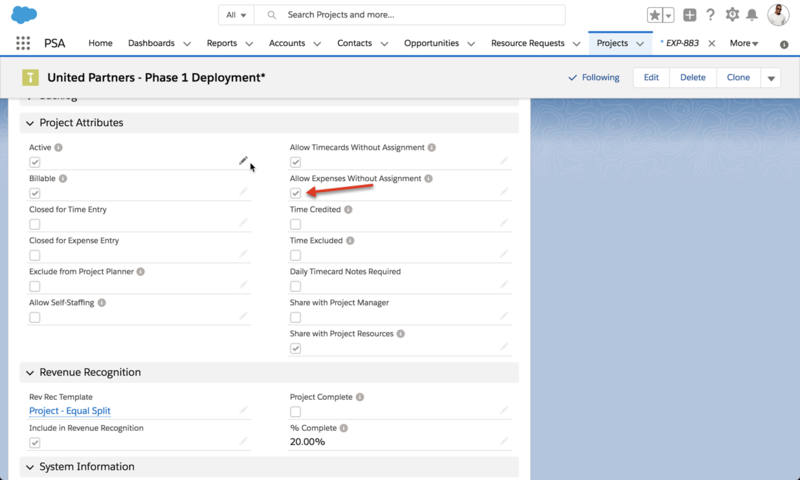 *Note: If you are using a project that does not have an assignment, the box Allow Expenses Without Assignment must be checked on the project in FinancialForce. Tax rates are created in Expensify trough our tax tracking feature. We export the tax amount from the expenses. Here, you can select if you need tax to be billable or non-billable. Once your options are selected, just click save to sync the settings and you're ready to start exporting your reports to FinancialForce!